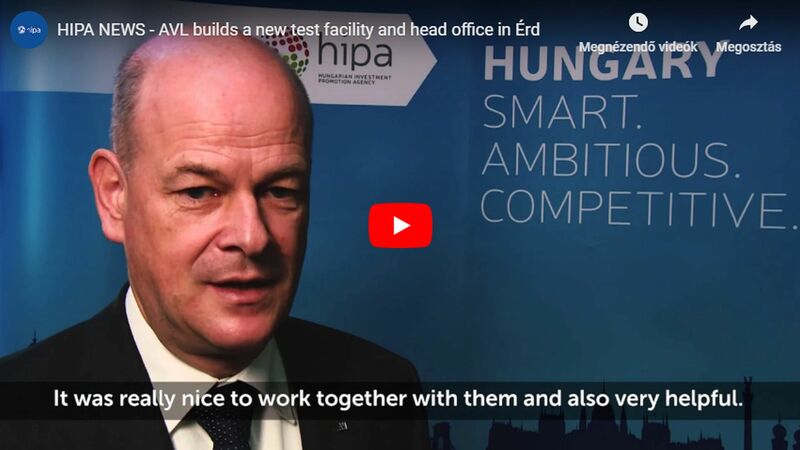 The world's leading independent development company in the automotive industry, the Austrian AVL, establishes its new Hungarian headquarters and test base in Érd. In the new complex, to be implemented in the framework of a greenfield development on 5.7 hectares, traditional and electric test benches will be used alike from 2020 on, for the development, simulation and testing of new generation internal combustion, hybrid and electric engines and power trains. During its 15-year existence, AVL Hungary has become a first-line research and development centre in the field of power technology. At the Hungarian division of AVL, back in 2010 less than a hundred, while today already several hundred collaborators manage entire development cycles and take part in the different phases of engine design, software development, simulation, manufacturing design, calibration and test bench measurement. Thanks to the outstanding performance of its 9500 collaborators employed worldwide, AVL's technical innovations are present in the passenger car, heavy vehicle, machine tool, railway vehicle manufacturing and shipbuilding industries on five continents, including the passenger cars and commercial vehicles manufactured in Hungary. The Austrian company has extended its activities continually in our county, which is well represented by the fact that it will double its headcount by the end of 2018 and foresees a significant headcount increase in the coming years as well. In addition to its sites operating in Kecskemét and Zalaegerszeg, AVL's Hungarian headquarters is located in Budapest, which will move to the Érd complex from 2020 on. AVL Hungary pays an ever increasing attention – besides perfecting internal combustion engines – to environment-friendly electric and hybrid solutions and to the development of automotive motor vehicles, which fields will be at the main focus of the vehicle industry in the near future.